ISBN: 9782070555963 ISBN10: 2070555968. Written by: Tournier, Lemoine. Softcover, 40pp.. The king Nabounassar III reigned on Happy Arabia for over a half century when he discovers a white hair in his golden beard. Since then a white hair appeared and, almost immediately, disappeared every day. The magic of M. Tournier transforms this enigma into a dazzling story illustrated by G. Lemoine. ISBN: 9782226141019 ISBN10: 2226141014. Written by: J Duquennoy. Softcover, 24pp. Squeletta, Sorciéra, Fantomella, Dracula..so many costumes, but Camille cannot decide upon which one to wear for Halloween! She decides to dress the pumpkins instead! ISBN: 9782070622252 ISBN10: 2070622258. Written by: C. Roy. 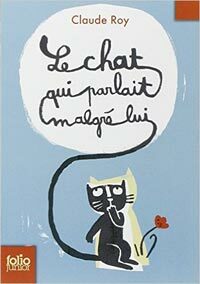 Softcover, 128 pp.. One morning, without warning, Gaspard, Thomas' cat, finds out he can speak. But, we also find out he can't control what he says. Discover how Gaspard manages to overcome this difficulty. Will Gaspard ever be able to keep a secret? ISBN: 9782211069076 ISBN10: 221106907X. Written by: S Morgenstern. Softcover, 62 pp..
ISBN: 9782211061636 ISBN10: 221106163X. Written by: C. Flament. Softcover, 48 pp.. A wild corner in the garden! What a strange idea! 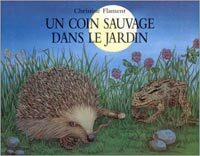 Yes, but it is full of animals like birds, butterflies, hedgehogs, & toads. What a great refuge for wildlife, treat yourself to the pleasure of watching them live! ISBN: 9782211073974 ISBN10: 2211073972. Written by: V Zenatti. Softcover, 40pp.. Jonas is not a normal chicken, but when he tries to warn the others about the terrible nightmares he's been having, nobody will listen. ISBN: 9782745902603 ISBN10: 2745902601. Written by: M Ocelot. 5.4 x 4.5 x 0.3 inches. Little Kirikou decides to deliver his village from the reign of an evil sorceress. ISBN: 9782745923325 ISBN10: 2745923323. Written by: M Ocelot. Album, 30 pp, 5.4 x 4.5 x 0.3 inches.